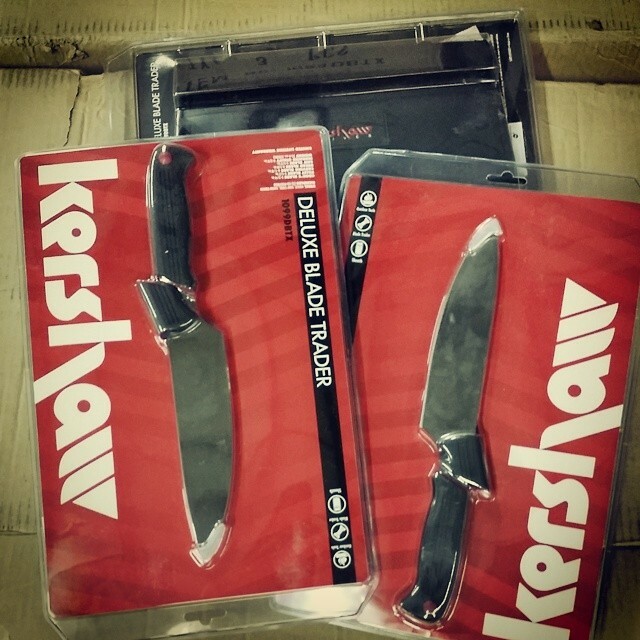 If you cannot make up your mind which Blade Trader knife set to get then try this Kershaw Deluxe Blade Trader model 1099DBTX. 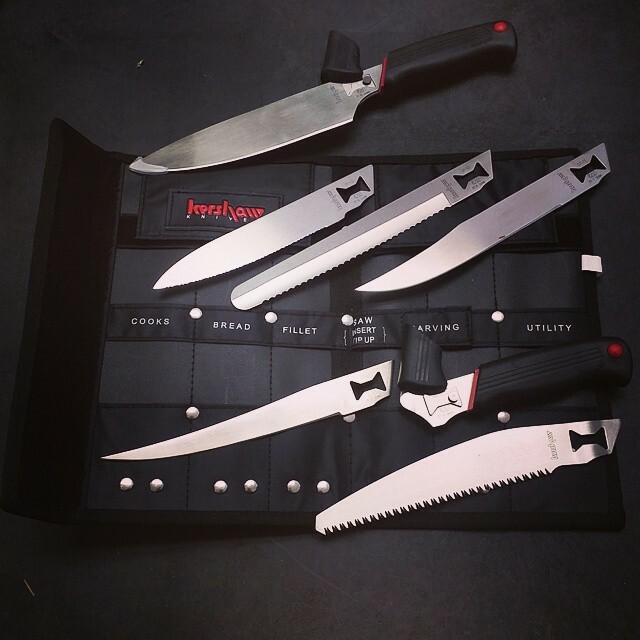 This Blade Trader knife set includes a cooking blade, fillet blade, carving blade, bread blade, saw blade, paring blade and two handles. It is great having a spare handle in case you break one or want to have two blades active at one time. 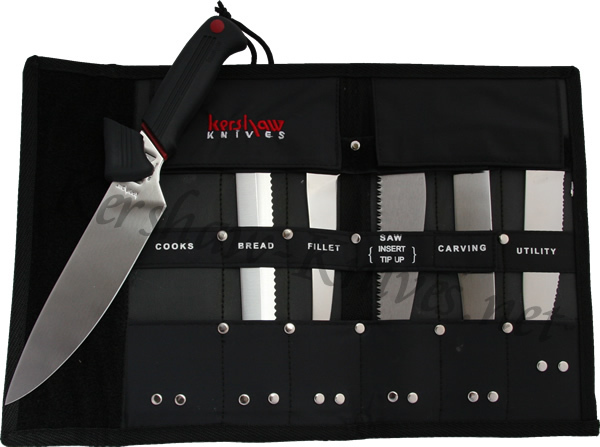 The Deluxe Blade Trader with its blades and two handles come with a nylon carrying case so you can keep up with everything.